I honestly just threw this together the other night with not too much consideration, and I am so glad I did! Stephan and I had a very busy day out running around and working on future projects for our family. It was a bit chilly & raining most of the day, you know those days. *sigh* The ones when staying home cooking while listening to soft music; a warm fire in the fireplace popping and cracking off in the background is the ideal day! 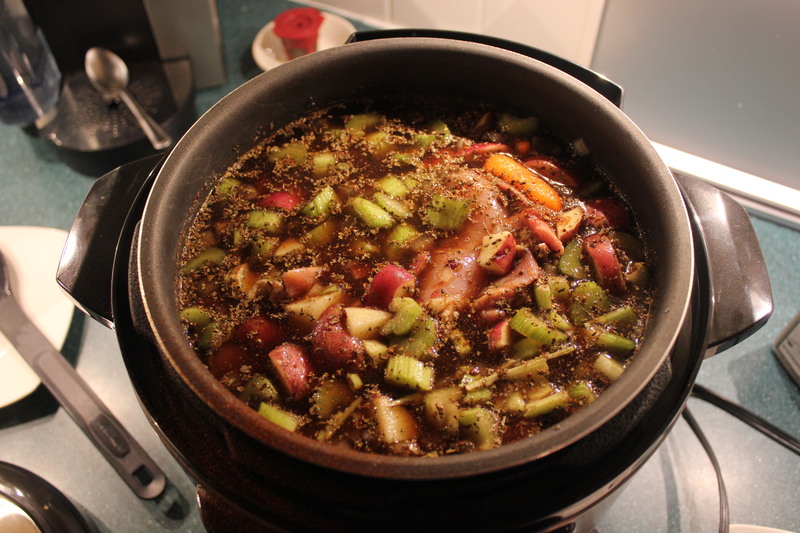 Obviously not the one we had; anyway with all the rain and how cold it was I wanted a hearty meal to end the day, we went to the grocery store and I picked up what I thought would work well together and what would be fairly quick using the pressure cooker. 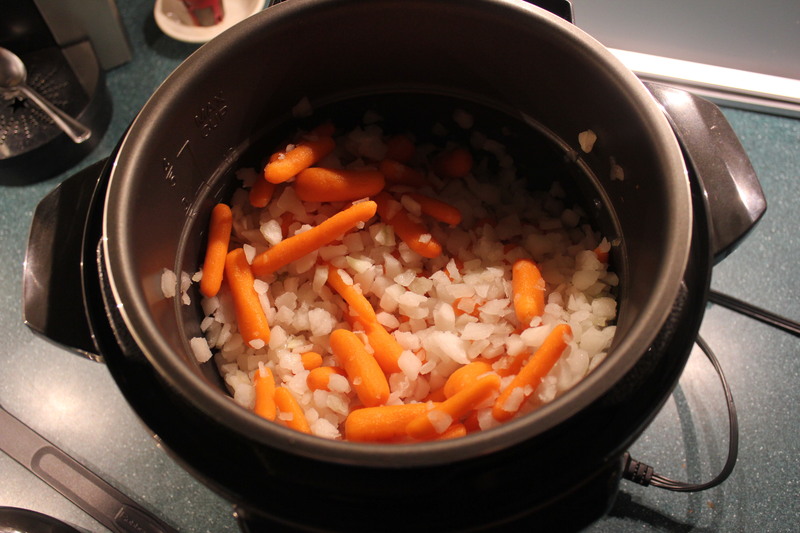 You may have noticed; I am really partial to using my electric pressure cooker at this time. What a great time of the year for it as well. The amount and types of meals you can make in it are endless and perfect for the colder months of the year. What’s so great about using the pressure cooker? Not only does it cut so much time off the cooking process, the meat cooks to perfection in addition to turning to butter in your mouth <— My opinion… The chicken is very savory, as well as really juicy. The way the meat just falls apart and you get a bit in every spoonful. It is a great way to cook and in fact an economical way to feed a lot of people or have left-overs for the week. I know this is going to be hard to believe, but don’t use chicken stock, I used 2 ~32 oz containers of beef stock. It really does make a difference. Very rustic! Throw all the ingredients into the pressure cooker (minus the dumplings of course) cook at 70 pressure for 25 minutes. 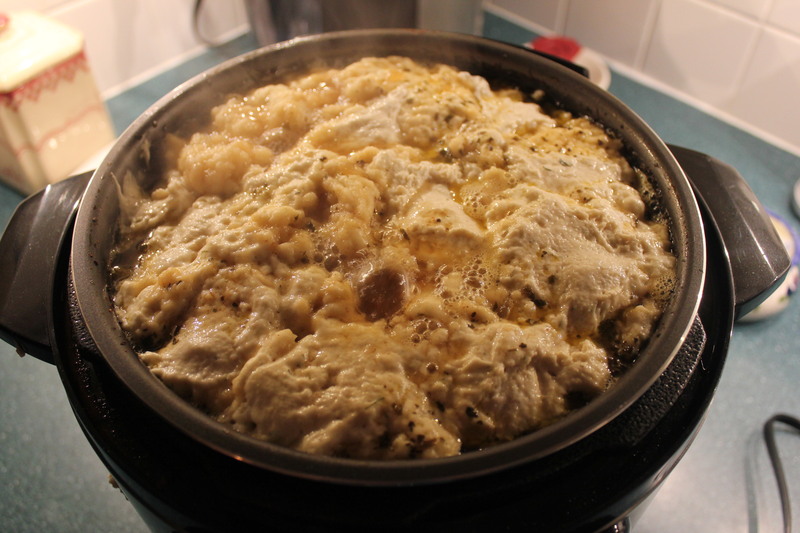 Let the steam out and uncover, drop the dumplings in and allow to cook for another 7 to 10 minutes. 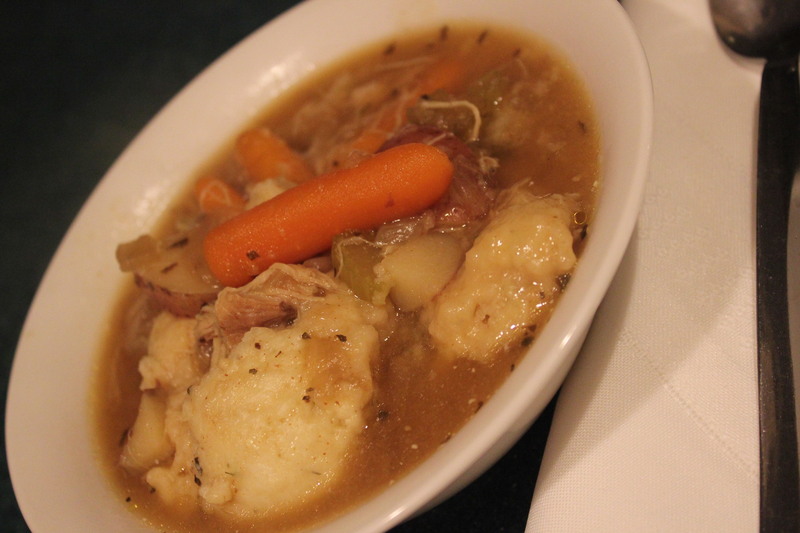 I used bisquick to make dumplings, you can skip this but I really enjoyed them. If doing this add a bit of garlic powder and dill to the batter, makes for a really tasty dumpling! If you decide not to make dumplings it would be great with a crusty warm baguette. When serving, should you prefer a more velvety version of your chicken stew; dollop a small amount of sour cream at the bottom of the bowl! Serve the soup over it and stir it in. I had the soup both ways and to tell the truth they are both great. I know it is a matter of preference so try it both ways and decide for yourself. ENJOY!